Jack Skellington's beloved pet ghost dog, he is very devoted to his master, and the two are as close as can be. When Jack calls, he emerges from his grave in the cemetery to answer, and when Zero wants to play, Jack obliges. Despite his ethereal appearance, he's a genuine dog where it counts, and his lighthearted demeanor does a great job in lifting up spirits, no pun intended. When Sora, Donald, and Goofy were helping Jack find Sally for the memory they needed to make Dr. Finkelstein's heart, it was Zero who led them to her, utilizing his enhanced senses to their fullest ability. Zero is a real dog at heart and he is indeed Jack's best friend. However, there remains one slight difference between Zero and other dogs - Zero is dead! This posthumous pooch spends his days floating through the dreary landmarks of Halloween Town, often running away like its live counterparts from other worlds. However, Zero remains loyal to Jack and accompanies him through the Hinterlands when Christmas Town is discovered and lives - dies? - to see Jack's resultant Christmas preparations for the town. 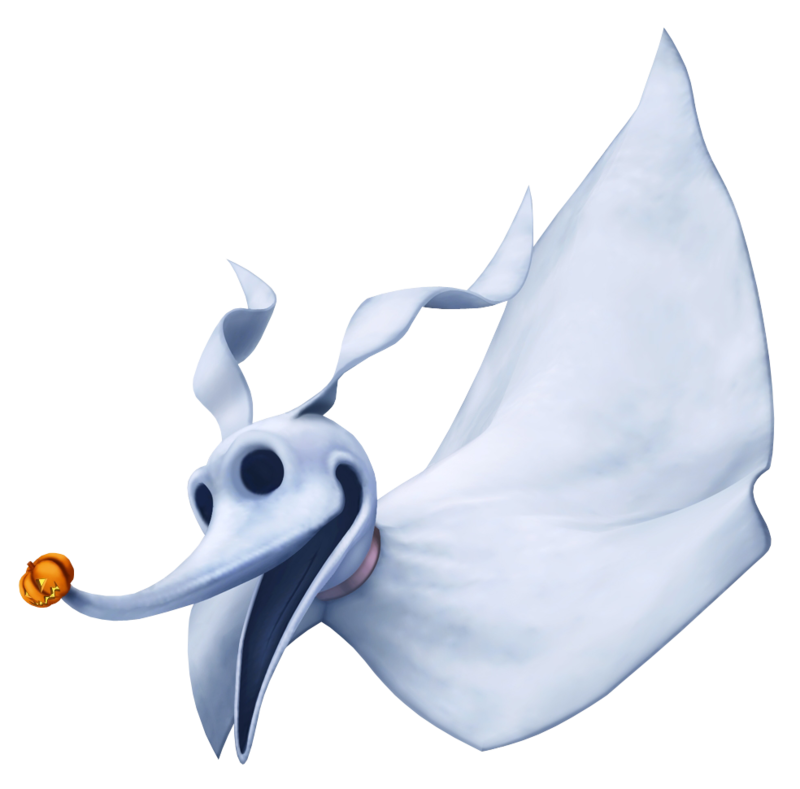 Zero is just like any pet dog despite being a ghost: He is loyal to his master, Jack, and loves eating bones. He has the uncanny ability to track down Heartless with his nose, which Roxas uses to his advantage during his missions to Halloween Town.